Revision rhinoplasty is a surgical procedure undertaken in order to correct concerns about the initial rhinoplasty surgery known as ‘primary rhinoplasty’. An individual may seek revision rhinoplasty for various reasons including aesthetic concerns, functional issues, or commonly, both. In most cases of revision rhinoplasty too much or too little tissue has been removed in primary rhinoplasty causing cosmetic and/or functional problems Nasal symmetry may also be a concern for patients following primary rhinoplasty, and frequently airway problems have not been sufficiently addressed. Dr. Mooney performs a very high number of rhinoplasty surgeries. 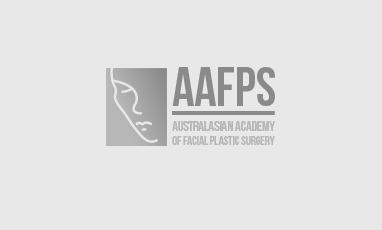 He is also highly regarded for his skill and experience in revision rhinoplasty, with patients being referred to him from all across Australia to address some of the most difficult cases. 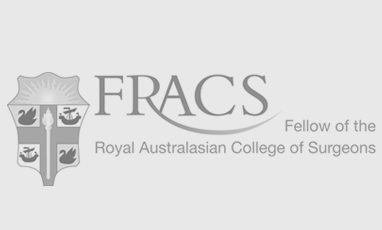 After becoming a Fellow of the Royal Australian College of Surgeons, Dr. Mooney completed his surgical training and traveled widely abroad to further his expertise. He completed formal training fellowships in rhinology at the Royal National Throat, Nose and Ear Hospital, London and the facial plastic and cosmetic fellowships with the Australasian Academy of Face Plastic Surgeons. He has attended visiting fellowships in further facial cosmetic surgery at the Lasky Clinic, Los Angeles. Dr Mooney regularly attends rhinoplasty conferences to stay up to date and to share his knowledge on his own successful revision rhinoplasty techniques. Dr Mooney understands the distress patients may experience when they have had an unsuccessful primary rhinoplasty. Patients may have had a bad experience overseas, interstate or locally. Rhinoplasty is one of the most difficult cosmetic surgeries and problems may arise, particularly in the hands of a less experienced surgeon. Dr Mooney also understands that a significant challenge with revision rhinoplasty is not just the nose but the patient’s psyche, which is why he he is careful when identifying patients that may be in need of psychological assistance rather than surgical intervention. ‘Patients want perfection however realistically revision may only slightly improve function and cosmetics. A redo nose may never be perfect’, explains Dr. Mooney. He believes that honesty is always the best policy when it comes to revision: ‘I always tell my patients exactly what we are likely to achieve’. Dr Mooney completes revision rhinoplasty from both a closed and open approach depending on the complexity and requirements of the particular case. Extra tissue (cartilage) is often used in a reconstructive rhinoplasty revision. This is usually taken from the septum of the nose, from behind the ear – or from the rib. Dr Mooney always prefers to use autologous materials (obtained from the individual) for rhinoplasty revision rather than implants due to the risk of rejection, infection, or extrusion. Revision rhinoplasty patients are likely to experience a similar recovery to their primary rhinoplasty, although in some cases, especially with closed technique – recovery can be of much shorter duration. Similarly to primary rhinoplasty, patients may need to wear an external nasal cast and internal nasal splints for 5 days post surgery. You may also have removable stitches between your nostrils if you have undergone open rhinoplasty. Although some improvements may be seen immediately, the end result will not be determined until 6-12 months post revision after complete healing has taken place and all swelling has subsided. New injectable rhinoplasty techniques are evolving and used extensively in our clinic. We often consider these in cases where the cosmetic flaws are minimal. Other conservative techniques such as in-clinic procedures can often obviate the need for revision surgery altogether. Revision rhinoplasty can be a challenging presentation, but one that, if negotiated carefully can result in happy healthy patients. How long does the revision rhinoplasty consultation process take? What is involved in the revision rhinoplasty consultation? A revision rhinoplasty consultation is quite different from primary rhinoplasty consultation because it is all about setting realistic outcome expectations. The reality is achieving “perfection” cosmetically and functionally is not achieved in revision rhinoplasty cases. Improvement is achieved and we hope to get you towards your ideal, but it may never be achieved. Thorough examination ensues, Dr Mooney will perform a fibreoptic nasendosopic examination and test nasal peak inspiratory flow to thoroughly assess your nasal function. We then move onto cosmetic assessment, using our digital photography. Revision patients must undergo a psychologically appraised prior to moving forward with the revision rhinoplasty procedure. At our subsequent revision rhinoplasty consult we discuss the finer details of the pre-operative treatment; what to wear, eat, think and do as your operation approaches. Following you first consultation and psychological appraisal, the wait period for surgery is between three to six weeks. Revision rhinoplasty is surprisingly not a significantly painful procedure. After appropriate consent and planning, revision rhinoplasty is performed under of general anaesthetic in a theatre setting. Where revision rhinoplasty is different from a primary rhinoplasty is that the nose has been modified by one of Dr William Mooney’s colleagues beforehand and we have a rough idea of the modification performed. However, we won’t know for sure until we get into the nose. It is a little bit like thinking on the spot, Dr Mooney has to assess – what changes have been made to the nose, what cartilage and bone we have left to work with and whether or not Dr Mooney will need additional cartilage or bone from other areas in the body or artificial products to complete the revision procedure. A rhinoplasty can take anywhere between one to four hours depending on the complexity of the procedure. Revision rhinoplasty is far more complex and can take longer. Three weeks is ideal but two weeks seems adequate for most of our patients. 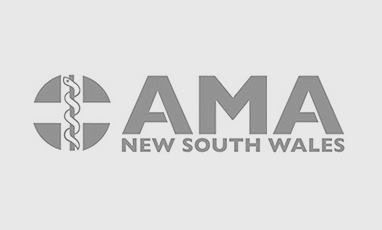 East Sydney Private, Bondi Junction Private, St Lukes and Strathfield Private Hospital. In almost every case that Dr Mooney has attended breathing has improved BUT revision rhinoplasty surgery can be hard and sometimes the improvement of breathing is minor at best. Dr Mooney will appraise you of the likely outcome of your breathing improvement at the time of your consultation and following the surgery. Typically, Dr Mooney will ask our interstate patients to stay in Sydney for 10 days. Rhinoplasty is process not just a procedure and patients must be prepared for follow up appointments, months following the surgery. Typically, Dr Mooney will ask international patients to stay in Sydney for three weeks. Rhinoplasty is process not just a procedure and patients must be prepared for follow up appointments, moths following the surgery. Prior to your procedure, patients are required to lock in the post-operative appointments with Dr Mooney and the post-operative nurses. Dr Mooney and the pre-operative nurse will go through all of your operative planning a couple of weeks before surgery. A small portion of this procedure can be claimed via Medicare. Depending on the level of health cover you have, there may be claimable items such as hospital cover. This will be determined following a consultation with Dr William Mooney. When the cast comes off your nose there is significant swelling, most patients are pleasantly surprised and can see the direction the nose is headed. Is it open or closed revision rhinoplasty, what is the difference? The results of a surgical revision rhinoplasty are permanent.